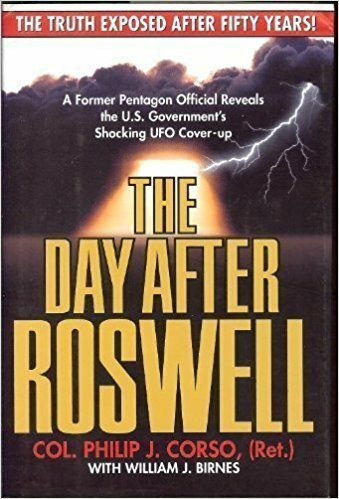 A breathtaking exposé that reads like a thriller, The Day After Roswell is a stunning depiction of just what happened in Roswell, New Mexico all those years ago and how the effects of this mysterious unidentified aircraft crash are still relevant today. A former member of President Eisenhower’s National Security Council and the Foreign Technology Desk in the United States Army, Colonel Philip J. Corso was assigned to work at a strange crash site in Roswell in 1947. He had no idea that his work there would change his life and the course of history forever. Only in his fascinating memoir can you discover how he helped removed alien artifacts from the site and used them to help improve much of the technology the Army uses today, such as circuit chips, fiber optics, and more. Laying bare the United States government’s shocking role in the Roswell incident—what was found, the cover-up, and more—The Day After Roswell is an extraordinary memoir that not only forces us to reconsider the past, but also our role in the universe. Many think the government is about to disclose what it knows about UFOs. Many think the government is doing everything in its power to keep the UFO reality a secret. The truth is those who control the UFO secret are doing neither. The secret keepers are gradually disclosing this information, via an acclimatization process, based on advice given by military think tanks that have looked at the issue. 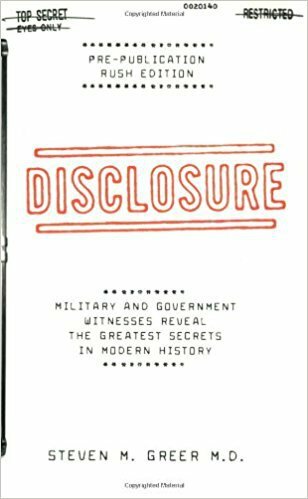 Through the extraordinary accounts in this book, the reader will: -Learn how long the disclosure effort has been going on and how this secrecy plan has been carried out. -Get a revelation of the 14 magicians in charge of this secrecy. 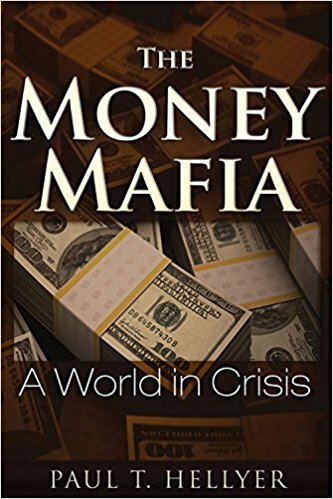 – Find out who the 5 Messiahs are, the ones chosen to carry out the disclosure message. – Learn the 64 reasons that led United States presidents to keep the UFO information secret. – Discover what WikiLeaks has revealed about UFOs. – Learn of the latest disclosure effort by rocker Tom DeLonge. -Become aware of a US president that was abducted. – Understand the story of “Trump the Aliens.” – Gain insight on Trump’s UFO briefing. – Learn about the eight possible disclosure efforts being run at the present time including the disclosure of a portal. For beginners and experienced researchers alike, historian Richard Dolan covers the full range of this incredibly complex topic in his uniquely engaging style. He offers fresh insights on everything connected to UFOs: ancient aliens, modern encounters, abductions, channelers, the politics and cover-up, the black budget world, the bizarre science, the social dimensions (read YouTube and Facebook), the future, and much more. 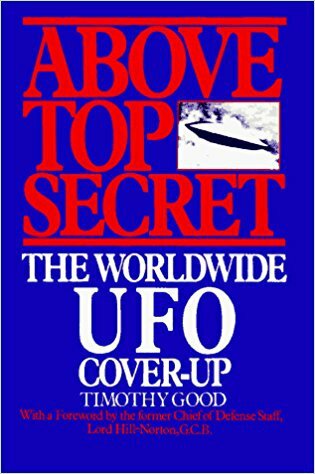 Toward that end, Dolan gives practical insights on how to distinguish and investigate UFOs in today’s world, where we are flooded with claims and videos and data of all types. 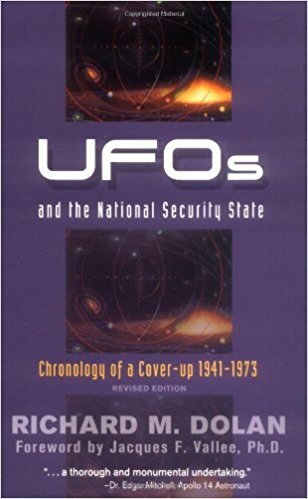 In addition, as one of ufology’s pioneers in the deep analysis of the cover-up, he offers an original perspective on how it all works and why the cover-up, despite being so entrenched and insidious, is nevertheless bound to end. He also writes on the nature of contact, speculating on who these “Others” might be. 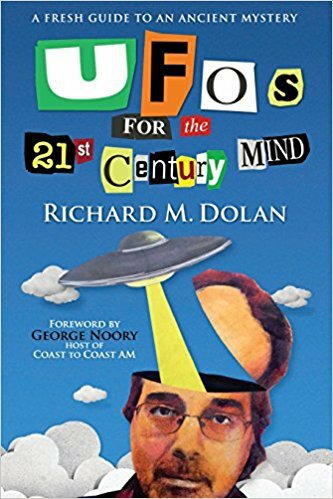 Finally, Dolan takes the reader through the “weird science” of UFOs, covering everything from propulsion to spacetime to consciousness and more. UFOs for the 21st Century Mind is a roadmap pointing the way forward in a field filled with uncertainty and obfuscation. In so doing, it is set to reposition an ancient phenomenon into a contemporary state of mind, reminding you just why the greatest mystery of our time is also one of the most important. Richard M. Dolan is a gifted historian whose study of U.S. Cold War strategy led him to the broader context of increased security measures and secrecy since World War II. One aspect of such government policies that has continued to hold the public’s imagination for over half a century is the question of unidentified flying objects. 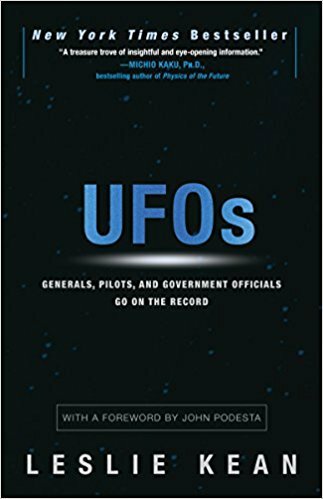 Included in this volume are the activities of more than fifty military bases relating to UFOs, innumerable violations of sensitive airspace by unknown craft and analyses of the Roswell controversy, the CIA-sponsored Robertson Panel, and the Condon Committee Report. Dolan highlights the development of civilian anti-secrecy movements, which flourished in the 1950s and 1960s until the adoption of an official government policy and subsequent “closing of the door” during the Nixon administration. 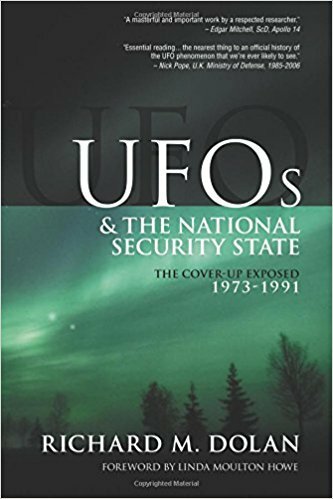 This is the 2nd volume in Richard Dolan’s series, “UFOs and the National Security State,” which covers the UFO phenomenon from the 1940s to the present day. Volume 2, “The Cover-Up Exposed, 1973-1991,” analyzes the UFO sightings, politics, and research that occurred during the last two decades of the cold war. Working from archival sources, professional journals, and his own investigations, Dolan describes UFO encounters worldwide, demonstrating that the phenomenon is global, and the result of advanced technology. Many cases involved sensitive military airspace. These include intrusions over U.S. air bases; attempts to intercept a UFO over Tehran; the landing of an unknown object near two airbases in Britain; large boomerang-shaped craft near New York City; unexplained triangular craft seen throughout the U.S. and Europe; strange objects in Earth orbit seen by Soviet and American astronauts; and encounters with UFOs from around the world. 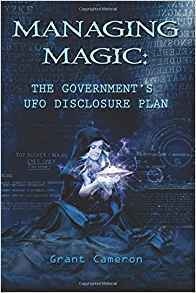 Dolan also studies “UFO politics,” describes the black-budget connection, and provides a geopolitical analysis to explain the whys and hows of UFO secrecy. Finally, he provides a history of UFO research. 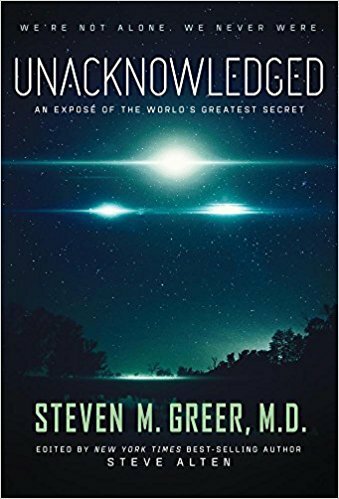 He recreates the discussions and debates concerning alien abductions, animal mutilations, intelligence community infiltration into UFO research, the controversial MJ-12 documents, the Gulf Breeze controversy, reverse engineering of alien technology, crop circles, and more. Dolan also studies the effect of such new technologies as the Internet on UFO research. Veteran ufologist Good doesn’t mince words in this hefty international expose of hush-hush government involvement in UFO research: not only are UFOs real spacecraft, he asserts, but the USA may even have saucers & aliens secretly on ice. Moreover, he presents a warehouse of documentation–much of it anecdotal–to support his case. As a frontline buttress to Good’s claims, England’s former Chief of Defense Staff, Lord Hill-Norton, offers a spirited foreword crying “cover-up” on the part of world governments. Good’s dossier persuasively backs up this charge with a rundown–beefed up by info obtained via the Freedom of Information Act–on a horde of UFO encounters, government responses, & both open & clandestine state investigations into UFOs. First England, then assorted lands including China & the USSR, then the US come under his scrutiny; altho many of the encounters–e.g., the alleged recovery of alien bodies from crashed craft in Socorro, NM, in 1947 and in Aztec, NM, in 1948–are familiar, the sheer quantity of UFO sightings recounted here astounds. Particularly intriguing is Good’s discussion of astronauts’ reports–ranging from Mercury astronaut Donald Slayton’s statement of spotting something that “looked like a saucer, a disk” while testing a P-51 jet fighter to a credulity-stretching report that has ham-radio buffs picking up Apollo 11 calling Mission Control during the 1969 lunar landing & saying, “I’m telling you there are other spacecraft out there…they’re on the moon watching us.” More weighty, however, is Good’s dogged tracking of the CIA & NSA’s monitoring & suppression of UFO research–suppression mirrored in other countries (e.g., in Brazil via a Sao Paulo State directive forbidding media “to divulge UFO reports without the prior censorship of the Brazilian Air Force”). There’s no smoking gun here, but enough circumstantial evidence to convince that governments have, and are, withholding important data about UFOs. The Biggest Lie in History is about to be Shattered. UFOs are real. In late June of 1947, three extraterrestrial craft were downed outside Roswell Air Force Base. Many more followed, revealing dozens of ET species and a Rosetta Stone to a new physics an energy generation and propulsion system responsible for interstellar space ravel. This new system could have easily replaced oil, gas, coal, nuclear plants and with them, the entire geo-political and economic order on our planet — only a cabal of bankers, the Military Industrial Complex, and Big Oil stopped it. We’ve been lied to. And now, 70 years after Roswell the witnesses to that lie have come forward to testify in a MUST-READ book that will shock the world. For the first time ever, over five dozen top-secret military,government, intelligence and corporate witnesses to secret projects tell their true stories which disclose the greatest covert program in world history. This explosive testimony by actual government insiders proves that UFOs are real, that some are of extraterrestrial origin and that super-secret programs have energy and propulsion technologies that will enable humanity to begin a new civilization – a civilization without pollution, without poverty – a civilization capable of traveling among the stars. This is not just a story about UFOs, ETs and secret projects: It is the story of how 50 years of human evolution have been deferred and how these secret projects contain the real solution to the world energy crisis, the environmental crisis and world poverty. The reality of UFO incursions at American nuclear weapons facilities has been convincingly established. Hundreds of U.S. military veterans now openly discuss these ominous incidents and thousands of declassified government documents substantiate their revelations. Over the past four decades, renowned researcher Robert Hastings has interviewed more than 150 of those veterans regarding their involvement in these astounding cases. On September 27, 2010, CNN live-streamed his UFOs and Nukes press conference in Washington D.C. during which former U.S. Air Force officers described numerous nuclear missiles mysteriously malfunctioning moments after a disc-shaped craft was observed hovering near their underground launch silos. That shocking episode, in March 1967, was merely the tip of the proverbial iceberg. Documented UFO activity occurred at a plutonium processing plant in Washington State as early as January 1945, months prior to the atomic bombings in Japan. Another incident, in October 2010, involved one missile base in Wyoming being unable to communicate with several of its missile launch control capsules just as a huge cigar-shaped craft slowly flew over them. Significantly, documents smuggled out of Russia in the 1990s confirm that Soviet nukes were also the focus of UFO interest during the Cold War era. On one occasion, in October 1982, a number of missiles temporarily activated for launch, as terrified officers attempted to disrupt the unauthorized count-down. After 15 seconds, the anomaly terminated and the equipment returned to standby status. While this was taking place, an enormous disc silently hovered over the base. 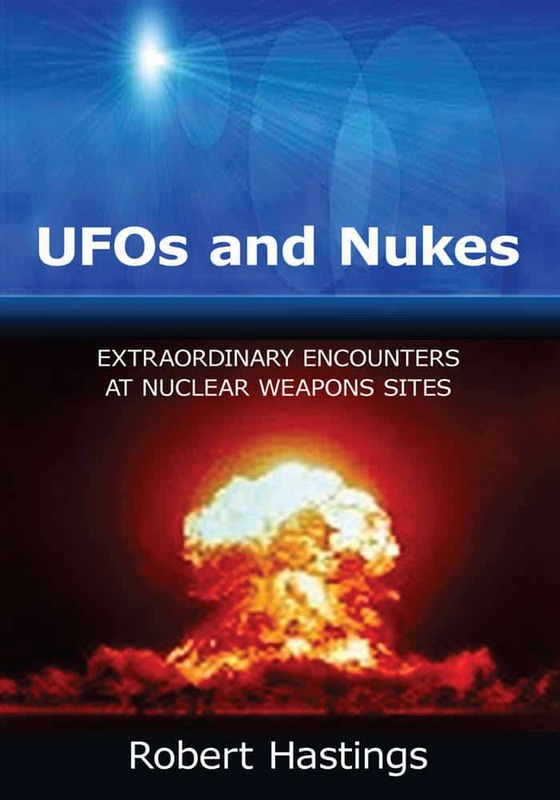 In short, the evidence presented in UFOs & Nukes makes clear that humans’ deadliest weapons have been, since their development and use during World War II, under intense scrutiny by still-unidentified observers possessing tremendously advanced technology. Given these disclosures, it seems evident that the UFO-Nukes Connection is highly significant and perhaps even the key reason these mysterious aerial craft have appeared in our skies over the past seven decades. It is readily acknowledged that our time has surpassed all epochs in history for the accumulation of technical knowledge, physical power over our environment, and economic might. It is less often pointed out, however, that our age has generated, and continues to generate, mythical material almost unparalleled in quantity and quality in the rich records of human imagination. More precisely, people have very frequently reported the observation of wonderful aerial objects, variously designated as flying saucers, unidentified flying objects (UFOs), and so on; among these narratives descriptions of landings made by these craft are commonplace; and that quite a few accounts purport to inform us of the physical characteristics, the psychological behaviour, and the motivation of their occupants. But investigators have neglected to recognize one important perspective of the phenomenon: the fact that beliefs identical to those held today have recurred throughout recorded history and under forms best adapted to the believer’s country, race, and social regime. If we take a wide sample of this historical material, we find that it is organized around one central theme: visitation by an aerial people from one or more remote, legendary countries. The names and attributes vary, but the main idea clearly does not. Magonia, heaven, hell, Elfland – all such places have in common one characteristic: we are unable to reach them alive, except on very special occasions. Emissaries from these supernatural abodes come to earth, sometimes under human form and sometimes as monsters. They perform wonders. They serve man or fight him. They influence civilizations through mystical revelation. They seduce earth women, and the few heroes who dare seek their friendship find the girls from Elfland endowed with desires that betray a carnal, rather than purely aerial, nature. 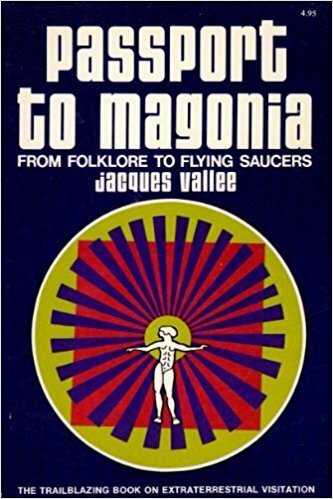 These matters are the subject of Passport to Magonia, Jacques Vallee’s seminal master-work that changed our understanding of the UFO phenomenon. An instant classic when first published in 1969, the book remains a must-have resource for anybody interested in the topics of UFOs and alien contact, as well as those fascinated by fairy folklore and other paranormal encounters.